Throughout Japan, an army of workers stands ready to ensure important messages are delivered as quickly as possible. But they don’t work in data centers maintaining email servers. They deliver telegrams. Staff from Nippon Telegraph and Telephone Corporation (NTT), one of the world’s largest telecom companies, still drive around big cities and even board ships to remote Japanese islands hand-delivering telegrams from friends, loved ones and business partners. Companies affiliated with the country’s three mobile carriers, NTT DoCoMo, KDDI and SoftBank, offer telegrams, which are sent via modern server networks instead of the dedicated electrical wires of the past (Morse telegraphy hasn’t been used since 1962), and then printed out with modern printers instead of tape glued on paper. 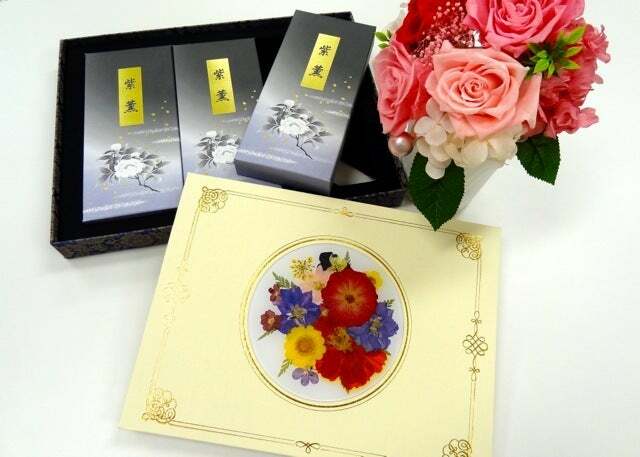 Themed telegrams offered by Japan's NTT East include (clockwise from top left) boxes of incense, preserved flowers and a floral card. But the telegram is alive and well in Japan. In fact, it’s enjoying something of a renaissance. The catalog of telegram services for NTT East, serving Tokyo and eastern and northern Japan, is 33 pages long. It showcases one of the main attractions for today’s telegram writers: gifts. People can choose from a range of presents to accompany a heartfelt message, from Hello Kitty dolls to lacquered accessory boxes and bouquets of preserved flowers. There’s even a telegram that comes with incense sticks to burn at family altars or graves for Japan’s Obon holiday in August, in which ancestors are remembered. The tally falls by about 10 percent a year, but there’s a growing number of smaller companies offering telegrams and other delivery services in Japan. That’s because Japan liberalized some mail and messaging services about 10 years ago when it launched plans to privatize Japan Post, a government corporation that controls trillions of dollars’ worth of customer savings. 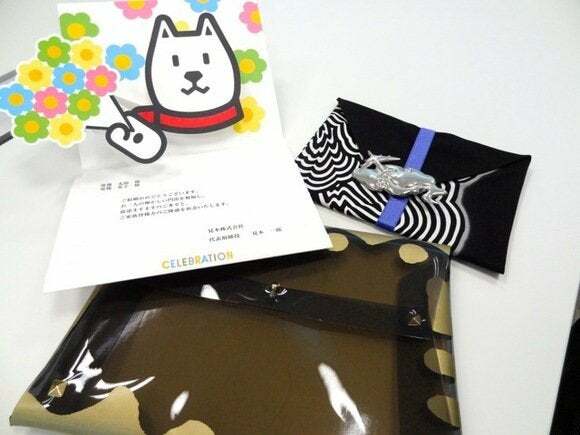 In July, Sagawa Express, a long-established courier company, began offering telegrams presented in stylish cards from ¥1,382. Another company offers novelty “Marshmallow Telegrams”—boxes of marshmallows made with edible characters that spell out a message. 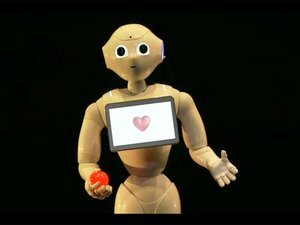 “Some companies are trying to compete with NTT on price and offerings,” says Takeo Kiyokawa, a general manager at PS Communications, a SoftBank group company set up a few years ago to offer domestic telegrams. The firm’s Hot Denpo service includes fancy gifts by fashion designers such as Junko Koshino, who created a gold and brown plastic clutch purse to enclose telegrams. It’s priced at ¥8,000. It’s surprisingly stylish given that about 90 percent of PS Communications customers are businesses and 70 percent of the telegrams it sends are condolences. Yet Hot Denpo users are slowly increasing, Kiyokawa says. “I sent my mother a Doraemon telegram,” a 27-year-old Japanese model wrote on her blog for Mother’s Day, referring to the famous robot cat from manga and anime. The stuffed toy comes with a prerecorded greeting and thanks the recipient for working hard.